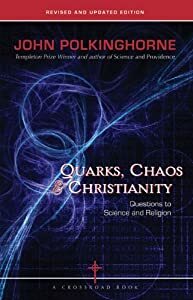 As John Polkinghorne continues his inquiry into the effectiveness of prayer in his book, Quarks, Chaos, and Christianity, Polkinghorne moves into a discussion of what I will refer to as the sensitive universe. Polkinghorne acknowledges that our understanding here is quite limited. We do not how the mind and the brain relate, but that doesn't mean we must be agnostic on how it is that we and God might act in the world-- and it is this sensitivity of the physical world that assists us as we ponder. A simple calculation leads to the following astonishing conclusion: for air molecules, in less than a millionth of a second, we shall make a serious error in our calculation if we have failed to take into account the effect of an electron (the smallest particle of matter) on the other side of the observable universe (about as far away as you can get) interacting with the air by means of gravitational attraction (the weakest of the forces of nature). In other words, even for a simple system like air, for a period that is a very tiny fraction of a second, its detailed behavior is absolutely unpredictable without literally universal knowledge (p. 83). The point is the midst of our predictable universe, it is reality unpredictable in its smallest behaviors. In the midst of the order of the universe there are random elements. Polkinghorne does not think that such randomness is an illusion, the simple result of our own ignorance, but rather that such "radical unpredictability "is a sign that nature is more subtle and supple than we had hitherto recognized. My instincts as a scientist encourage me to make the latter guess" (p. 85). Heisenberg's Uncertainty Principle bolsters Polkinghorne's instincts. Heisenberg's Principle suggests that "if we know where an electron is, we can't know what it is doing, and if we know what it is doing, we can't know where it is" (p. 85). Heisenberg and most other physicists believed that this uncertainty was not a matter of human ignorance, but rather a principle of indeterminacy. 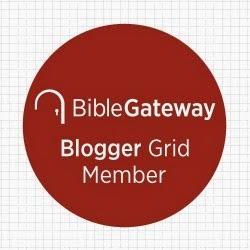 What this may suggest is that there is an openness in reference to the future and may indeed indicate that in such openness, God can act in answering our prayers. There is more to the universe than meets the eye, and more to the future than the predictability of the universe as a mechanism. Coming next-- two kinds of causality acting in the universe.